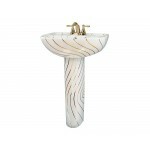 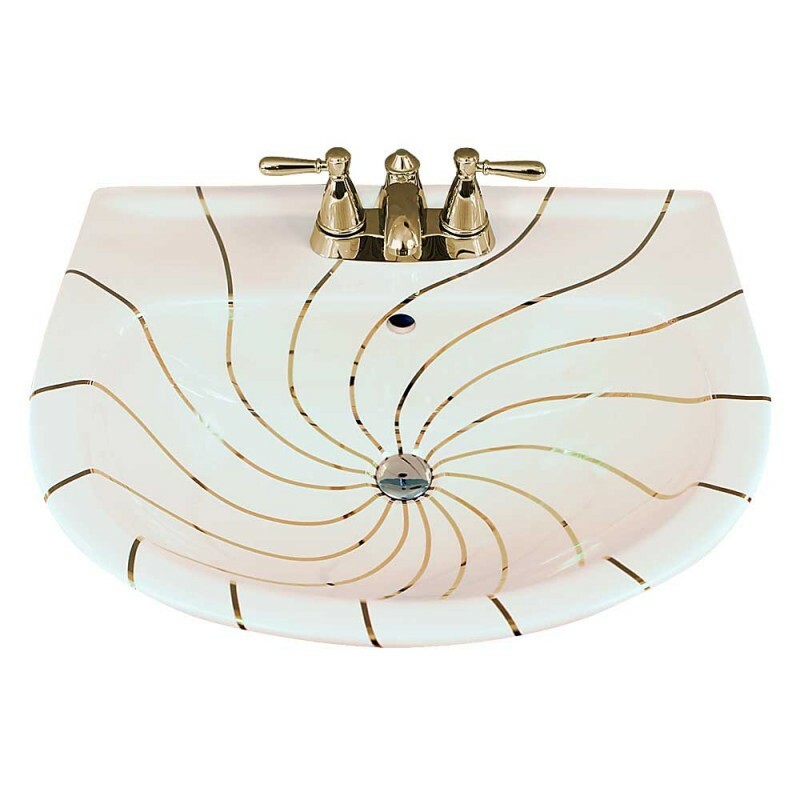 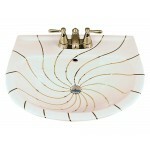 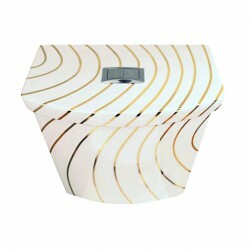 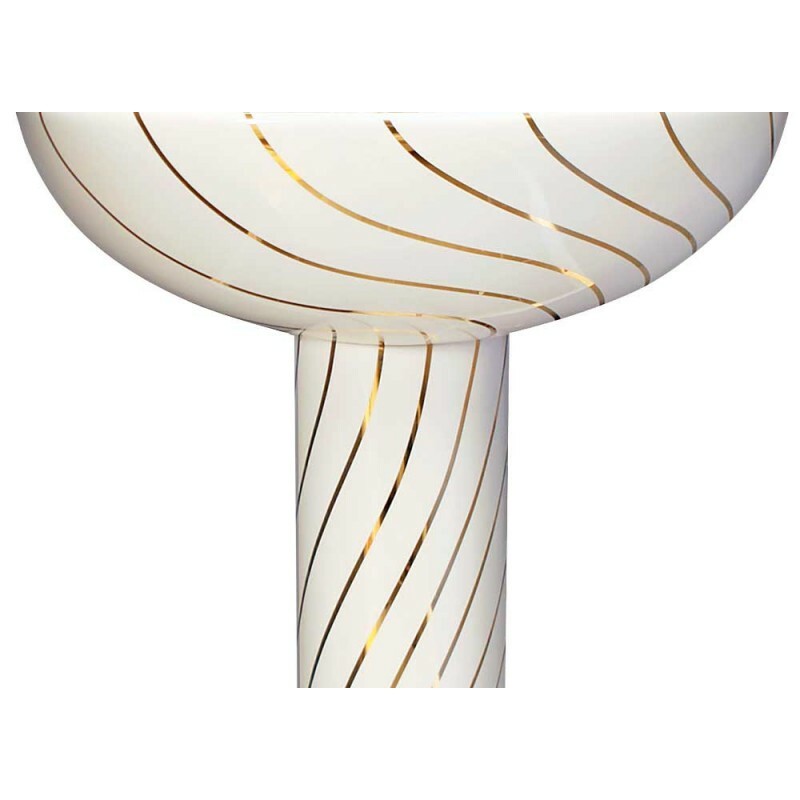 This spectacular custom design pedestal sink decorated with real metallic gold lines swirling up the leg and into the basin will add some drama to your powder room... a work of art! Check out out the matching toilet to this design and get some bathroom inspiration ideas *on the bottom row of the Installation Gallery page of a very dark blue modern bathroom with white accents featuring the gold and white sink and dual flush toilet. Decorated on a white American Standard Evolution pedestal, 22-1/4" wide x 17-1/4" deep x 35-1/4" high. Design can be adapted to lots of other pedestals or a drop-in, vessel or under counter sink.